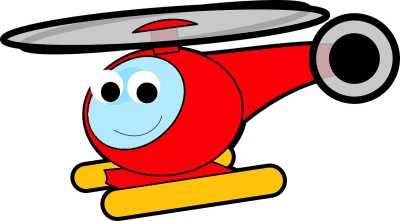 After months of preparation, Cheverell Old School Nursery Ltd (‘COSN’) is extremely excited to introduce our new arrival; a Bell Jet Ranger II helicopter that has been re-conditioned specially for the pupils of COSN. Opportunities to recycle and reuse are always encouraged at COSN and we were delighted when our community friends approached us with this exciting new idea. 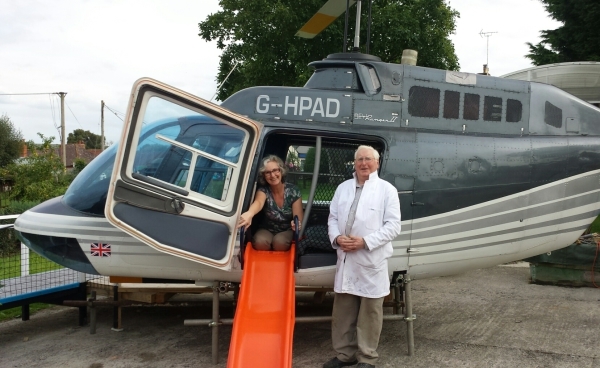 Project ‘Heli-play’ is the combined brainchild of COSN’s Rhona Welham and our very own engineering extraordinaire (we like to call him Professor!) Merv Ridout. Merv has been part of the COSN community since its opening and when heard that an old helicopter was heading for the scrap yard, contacted COSN immediately to see whether we could recycle it for educational purposes. Since that call, he has worked tirelessly throughout the summer mobilising ‘Heli-play’ in time for the new Term. Combining Rhona Welham’s creativity and knowledge in early years education with Merv’s engineering expertise has proved to be a high-flying combination and we are proud to offer our pupils a wonderful opportunity to catapult their imagination and education into a new atmosphere. So what can we do on Heli-play? 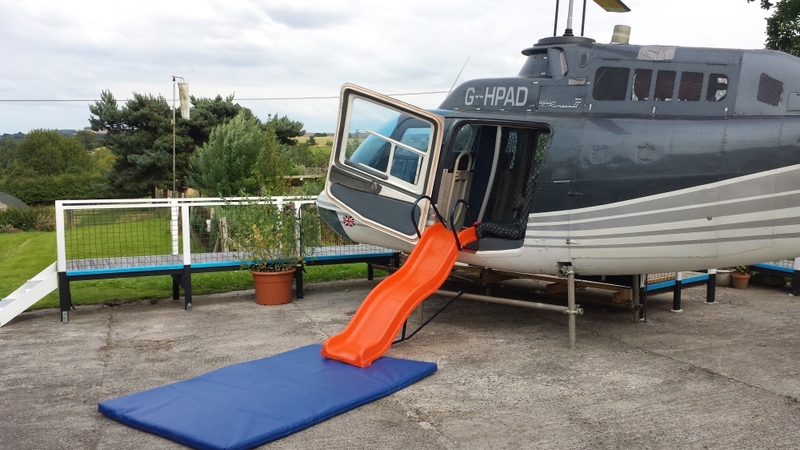 The fully sized helicopter has been completely re-conditioned and adapted for educational purposes so pupils can explore the scientific and engineering elements of a working helicopter without the danger. 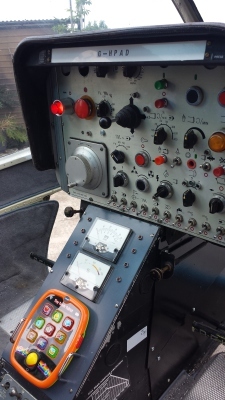 Engine start-ups, fuel lights and gyros are all simulated so pupils can tangibly advance their knowledge and skills in maths, science and engineering. Of course we shouldn’t only focus on these skillsets. Creativity, imagination and physical skills are all too to be used on Heli-play when stepping aboard our next adventure. Heli-headphones, maps and binoculars are just some of the accessories provided to help us plan our next flight into our imagination. So grab your passports, scan your boarding cards and pack your case; Flight 2015 is now ready for boarding! The sky really is the limit at Cheverell Old School Nursery. We hope you are as excited as us about our new adventure and we can’t wait to show you around. 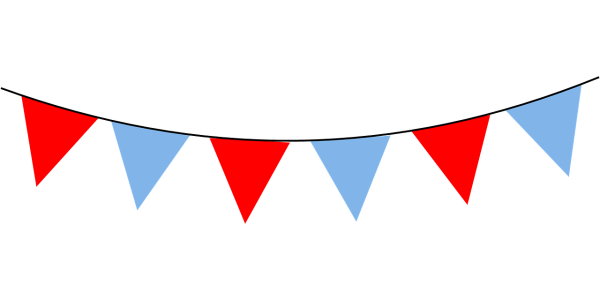 We are mindful, however, that particularly during the first few weeks of the new term all of our attention will be on welcoming and settling in our new and existing pupils into Nursery and therefore access to our new Heli-play facility will be limited during the first few weeks. We thank you for your understanding and support whilst we settle into our new term and look forward to welcoming you aboard our new feature shortly.